Michigan is one of the lower forty-eight state’s truly great fly fishing destinations. The center of that fishing area is Traverse City. A visiting angler fly fishing around Traverse City can find hundreds of miles of Blue Ribbon trout streams. The Manistee, AuSable, and Pere Marquette and dozens of lesser-known quality streams are within reach. Around Traverse City a fly fisher can find excellent fly fishing for trout, steelhead, salmon (3 species), small and large mouth bass, walleye, pike and panfish. 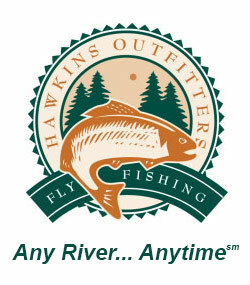 The non-angling members of your party have many options while you are fly fishing Traverse City area. It has quality shopping, dining, world class golfing and entertainment. Consequently all of the above make a Traverse City fly fishing vacation fun for the whole family. Many of the state’s rivers, including the Manistee, Ausable, Pine and the Pere Marquette boast quality fly-fishing for brown, rainbow and brook trout. All of these rivers offer flies only stretches with quality fishing regulations. Anywhere in the northern part of the state you can be standing in cold clear trout water. Many flies only stretches let you challenge the wily old brown trout or the highly colored brook trout. Traverse City Fly Fishing offers trout rising to dry flies from April to Oct. The streamer and nymph fishing are productive year round. The major hatches include the world famous hex hatch. You have a chance at a trout up to 30”’s fishing at night. In addition we have terrific Hendrickson, Sulphur, Isonychia, and Brown and Gray drake hatches. Later in the season Blue Wing Olives and Effrons (white fly) become major players. Spring and fall bring the anadromous fish into the rivers to spawn. Starting in September steelhead and salmon ascend the rivers. While king and coho salmon are looking for spawning gravel, the steelhead are looking to dine on the banquet of eggs. There is probably no greater thrill in freshwater fly fishing than hooking a dime bright fall steelhead on a fly. Or try landing a thirty-pound king salmon on fly tackle with 8 or 10 pound test tippet. The steelhead are available all winter long in the rivers around Traverse City. There is nothing more beautiful than a nice winter day on the river with just you and your fishing companions chasing winter steelhead. Come March the spring run of steelhead gets under way; it keeps us hopping until the beginning of May. These hard fighting fish provide as much fun on a fly rod as is possible. Some years you can spend one day fishing for steelhead and the next chasing brown trout upstream above the dams that stop the migration. If you are interested in lake fishing we have hundreds of lakes that produce well for fly anglers. In addition some of the best fishing is found in Lake Michigan. Both Smallmouth Bass and Carp are found in significant numbers and large in size. A twenty-pound carp is common and available 5 minutes from downtown Traverse City (check the Grand Traverse Bay Fishing Report). Large Smallmouth spawn in the shallows of the Bay and are susceptible to a well-placed fly, especially a crayfish pattern. Many of the state’s lakes host hatches of large mayflies during the summer. A quality guide can put you into some tremendous fly-fishing in the evenings hooking bass, large pan fish, and other warm water species. Traverse City boasts great accommodations for the time you spend relaxing after hard days fishing. There are literally thousands of rooms available in all types, from five star resorts to cozy cabins on the river. Dining and golf are as varied also. Traverse City hosts the Traverse City Cherry Festival, Horse Show by the Bay and the Traverse City Film Festival during the summer months. Choose your type of trip and it can be found. Year round quality fly angling with a variety of species and water types are our claim to fame. Beautiful settings, a variety of entertainment, abundant amenities and more fishing opportunities than can be outlined here describe Traverse City fly fishing. Therefore if you are looking for quality angling in a wonderful northern woods setting, Traverse City is the place for you.